A home security camera for PC can provide you with security can or surveillance monitoring at a fraction of the cost of an entire home digital video security system. In this article we'll take a closer look at using a home security camera for PC and some of the advantages and disadvantages of this method versus a standalone system. A home security camera for PC can provide you with security can or surveillance monitoring at a fraction of the cost of an entire home digital video security system. In this article we’ll take a closer look at using a home security camera for PC and some of the advantages and disadvantages of this method versus a standalone system. A home security camera for PC uses a Personal Computer (PC) to perform the tasks normally associated with the DVR, DSP, and monitor of a standalone system. This type of camera usually connects to your PC in the same manner that the camera would connect to a standalone DVR. In order to connect and thereby communicate with your computer, the camera needs an intermediary device, something that can provide a connection to the PC and the camera, can conduct the PC to perform video security system functions. This is normally done by using a PCI card that is plugged into an available PCI slot on the PC. The PCI card can not only connect the camera(s) to the PC, but it may contain other circuitry and devices that processes the digital video file, compresses the size of the digital file, stores the file, and controls optional functions on the camera such as Pan-Tilt-Zoom (PTZ). 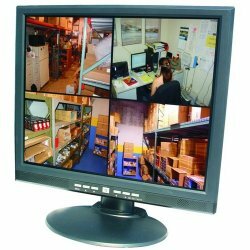 Normally, a home security camera for PC uses the PC’s hard drive to store the file in the same manner that the DVR would store the file and the computer’s monitor to view the camera live or to review stored digital video files. The PC’s processor is also used, depending on the system, to process the video data. If the PC’s processor is not used to process the video data and is done by the PCI card, then at a bare minimum, the PC’s processor is used to control and coordinate the functions of the PCI card and other hardware. The main advantages to using a home security camera for PC versus a standalone digital video security camera system is a much cheaper cost. A home security camera for PC is usually considerably less expensive than a standalone system. The computer and PCI card take the place of a DVR and monitor which can greatly reduce the cost compared to a standalone system. • A PC is required. If you have an existing PC it may be used, otherwise you will need to acquire one. This could result in a higher expense than using a standalone system. • A PC is required. This is not a typo. There is a “double down-side” that could apply. If you use your existing PC for your home security system, the system may demand many of your computer’s resources. This could result in slower computer performance, lack of hard disk drive capacity because of stored video files, etc. • Possible compatibility issues. The PCI card must be compatible with your computer and the operating software system you are currently using. Otherwise, major changes to your PC may be required. Each user application is different, so it is up to you to decide if the disadvantages of using a home security camera for PC outweigh the cost savings of a standalone system. 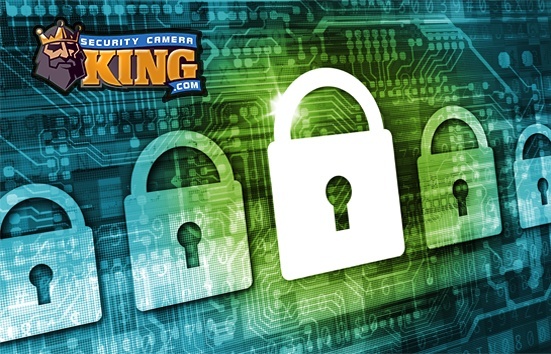 For more information, contact one of Security Camera Kings security experts today.